Cedar Wood Porch Railing System for robust Traditional Porches. Perfect for use with 1 5/8″ & 2 1/2″ Spindles & Balusters. Provides height, strength, beauty, and ease of installation for your wood porch railing. Price includes all three pieces of the wood porch railing: Top Rail, Subrail, Bottom Rail, and Skirt. Made of premium clear Western Cedar. 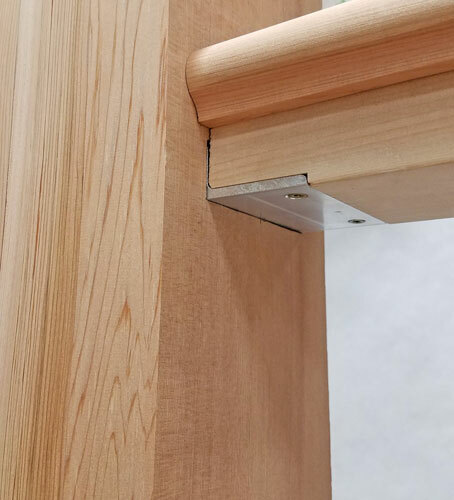 Adds 10″ of height to your wood porch railing system, including a 3″ toe space: to get the right spindle length, take your desired top rail height minus 10″. Example: Top rail height = 36″. 36″ – 10″ = 26″ tall spindles. Designed to allow installer to completely hide all fasteners. Optional Rail Installation Hardware includes necessary brackets, screws, and bits to attach your rails to a newel, column, or wall. The heart of the install kit is the aluminum angle brackets which fit neatly and discretely under the Subrail and Bottom Rail or Skirt. Makes installation of our Porch Rail Systems a breeze while saving you trips to the hardware store. Order one Kit for every section of rail. This System has been tested and exceeds the load requirements for guard rail when used with our 4″ and 6″ class Wood Porch Railing Systems. 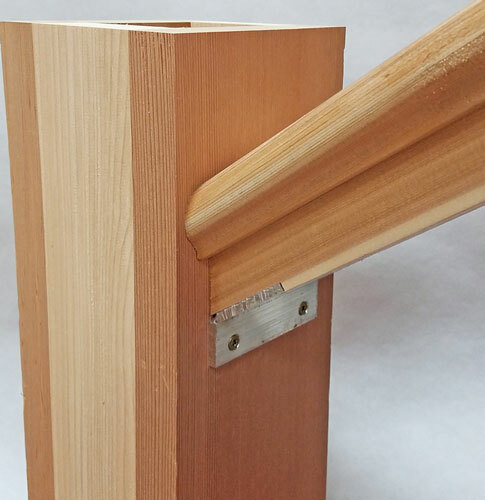 Stair rail kit brackets are custom made in our shop to your exact stair angle. YOU MUST SPECIFY THE RISE/RUN OF YOUR STAIRS when ordering a stair rail kit. For hollow columns such as our FRP columns, you may also need to use toggle bolts (not included). Grades used: We use both CLEAR grades of wood in our railing. !